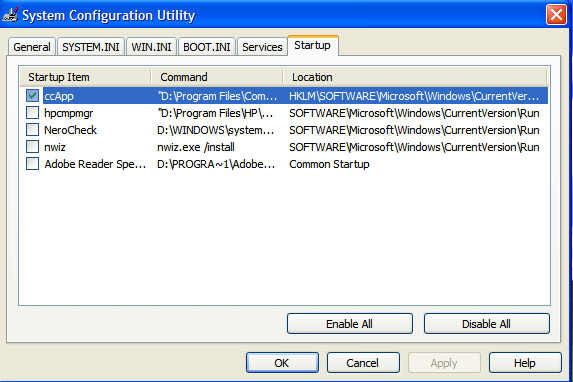 Windows XP does have the msconfig utility like later versions of Windows. You get to it the same way, go to Start-Run-type in msconfig and you get this screen. As new users and veterans, we want the Startup tab. This is where you can stop certain programs from running, when you startup your computer. Go to my main Menu and check the Startup Programs page, for information on what the programs are and if you should uncheck the box to disable them. These programs are using Ram to run all the time and generally, do not need to be running all the time.